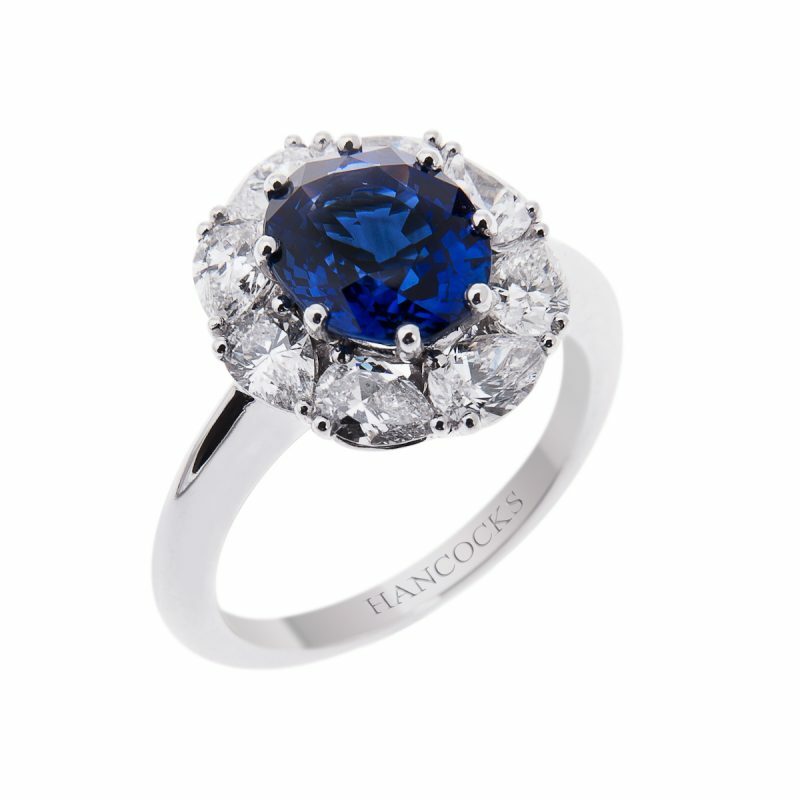 If you desire a jewelled treasure, here is the solution. 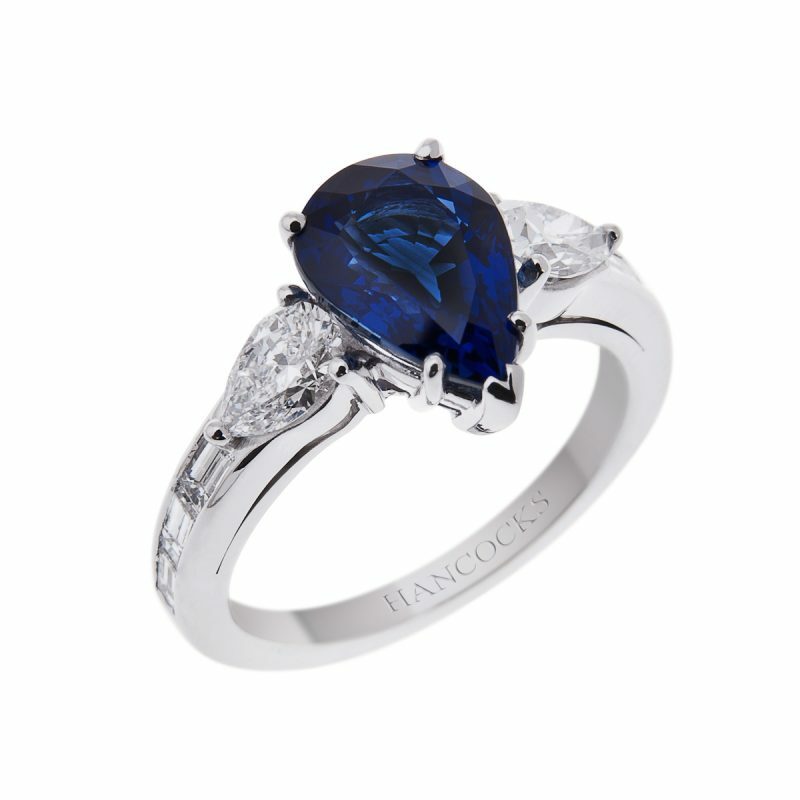 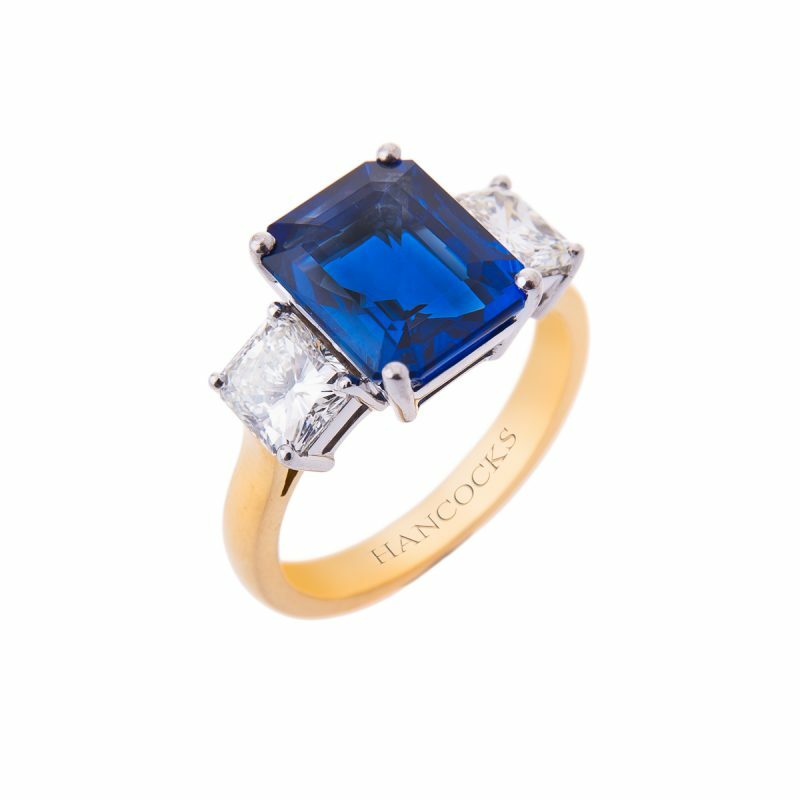 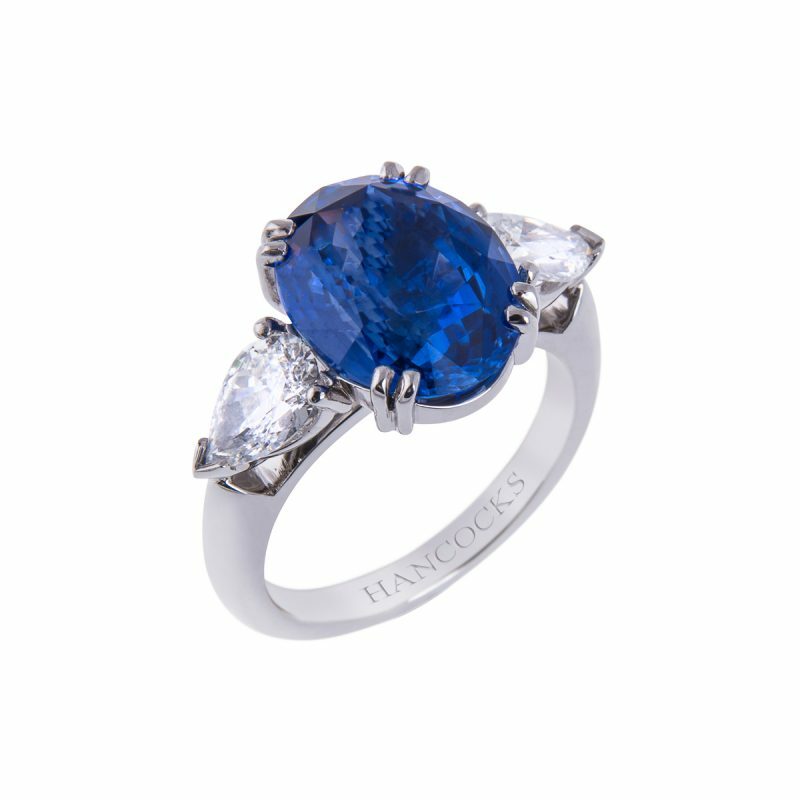 Hancocks blended the ultimate desire a magnificent oval sapphire of bright celestial blue and a pair of rare white pear cut diamonds, all securely held in a classic platinum claw setting. 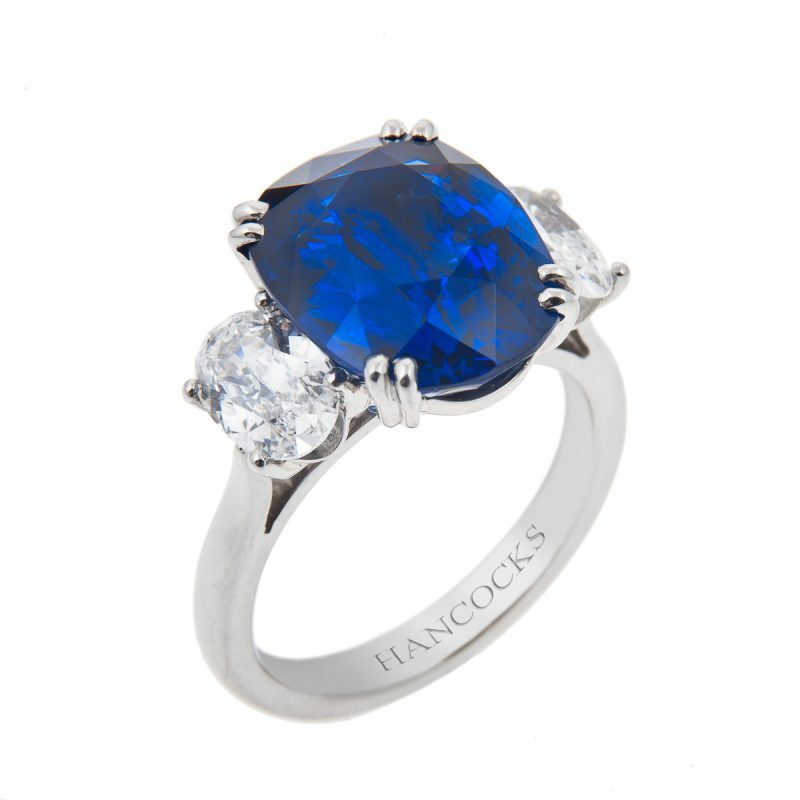 This ring has the power to enchant, why not fall under its spell.